Fee / Minute Chat/Phone: $4.99 Fee for email reading Depends on question - from $ 15 for basic questions to $ 150 for in depth study. She's Awesome and always there for me. Hi, I am a natural born psychic and clairvoyant and I live near Como Lake, Italy. Since when I was born I have been a peculiar person, learning to read when I was 1 and to write when I was 2. I have always had this strong sensibility which has made an artist out of me, and a psychic. I have learned the art of Astrology in my family since when I was very little. I have started practicing the Pendulum at the age of 7, the Tarot at the age of 11 and I have drawn my first birth chart at the age of 14. I am a singer, songwriter and I write poems. I feel often music entering my soul. I easily cry and feel very happy thereafter, I feel the emotions and energies of people, animals and the Mother Earth. 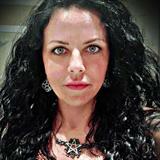 I have more than 15 years of experience in Psychic Readings, the Tarot, the Runes, the I Ching Oracle and much more. I want to be for you a friend to help you in the difficult moments. Please note I am not going to tell you what you want to hear, but just what I see. Always with positivity, because you don't know what Destiny has in store for you. Whether your question is about Love, Marriage, Friendship, Career, Life Paths I can give an answer about your question. Please allow me some minutes to concentrate and spread your cards or see your birth chart before answering. Fast and no time wasting answers. No free readings. Your road to happiness begins with a single step. And your insight about your situation is only a click away. Thank you. I have been reading Tarot and astrology charts for more than 15 years. I receive personally clients in my studio in Milan, Italy. Through the years I have helped a lot of people reaching love and happiness in all fields of life.